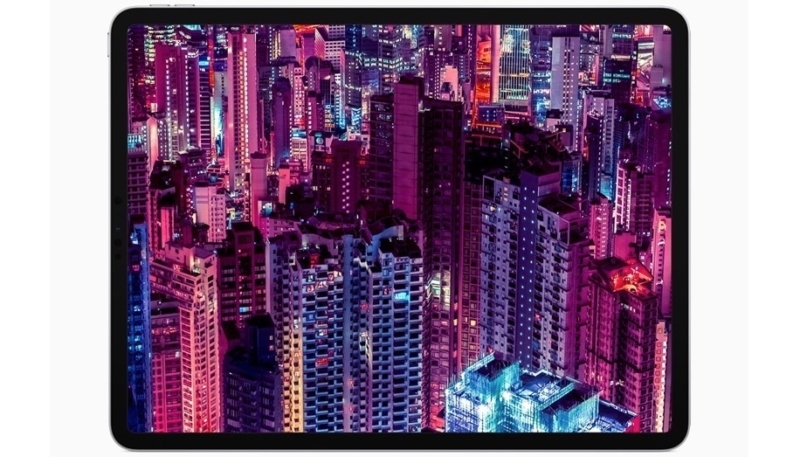 Apple on Tuesday unveiled the new iPad Pro, which features an all-screen front facing design with no Home button, instead using Face ID for biometric authentication. The new tablets are powered by an A12X Bionic chip, with a next-generation Neural Engine that Apple says outperforms most PC laptops. 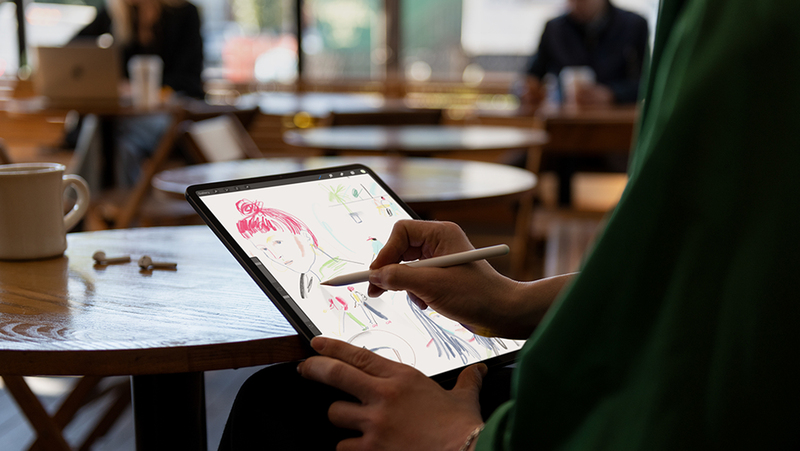 The new iPad Pro replaces the Lightning connector with a new USB-C connector, and offers Gigabit-class LTE, and up to 1TB of storage. 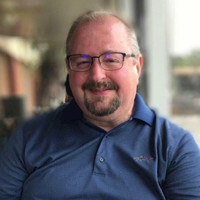 The new devices offer a large multi-touch Liquid Retina display, the same display used for the new iPhone XR handset. The 11-inch iPad Pro offers a larger display with more pixels in the same footprint as the 10.5-inch model, and weighs in at one pound. 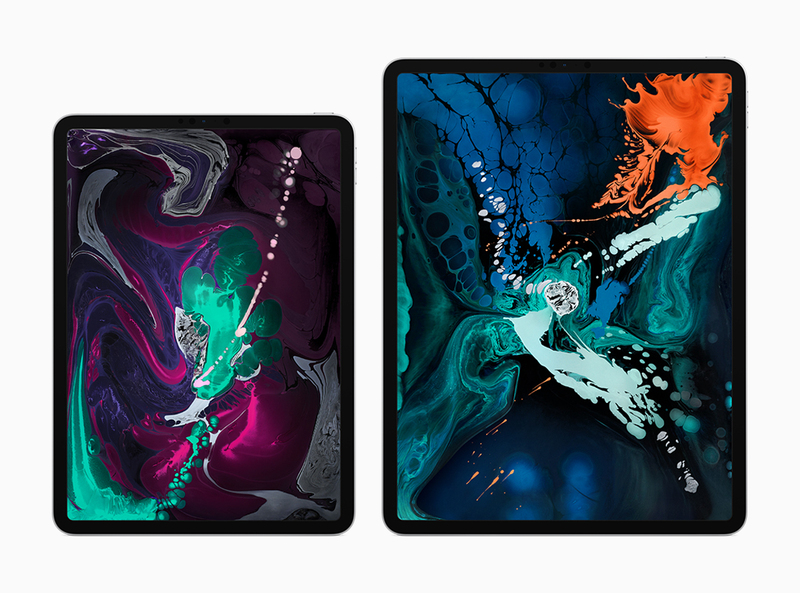 The new 12.9-inch iPad Pro offers the largest display of any iPad, now in a more portable package — offering a 25 percent reduction in volume. Both models are just 5.9 mm thin — the thinnest iPad design ever. The new USB-C connector offers power for charging, supports USB 3.1 Gen 2 for high-bandwidth data transfers up to twice the speed to and from cameras and musical instruments, and drives external displays up to 5K. With USB-C, iPad Pro can even be used to charge an iPhone. A second-generation Apple Pencil was also unveiled, which magnetically attaches to the iPad Pro, allowing it to wirelessly charge at the same time. The new Pencil boasts a new built-in touch sensor, which detects taps, introducing an entirely new way to interact within apps. A new Smart Keyboard Folio also made the scene, and features a streamlined, adjustable design. The new 11-inch and 12.9-inch iPad Pro will be available in silver and space gray finishes in 64GB, 256GB and 512GB configurations as well as a new 1TB option. 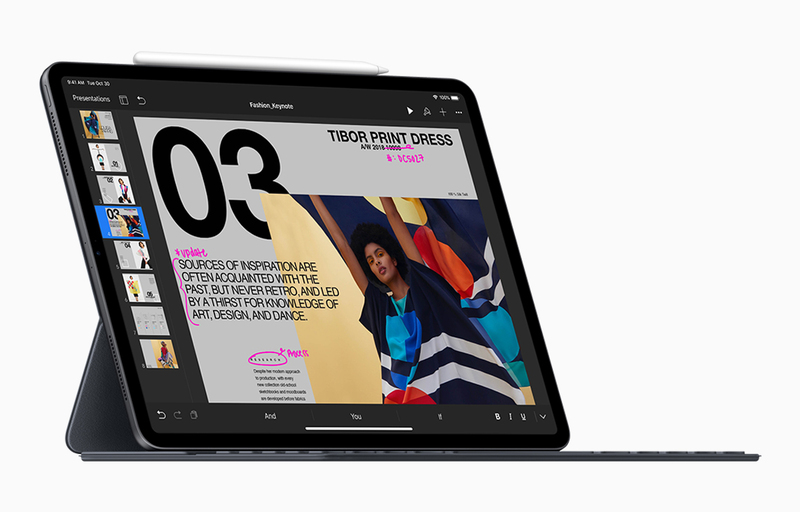 The 11-inch model starts at $799 (US) for the Wi-Fi model and $949 for the Wi-Fi + Cellular model and the 12.9-inch model starts at $999 (US) for the Wi-Fi model and $1,149 (US) for the Wi-Fi + Cellular model from apple.com and Apple Store locations, and is also available through Apple Authorized Resellers and select carriers (prices may vary). The second generation Apple Pencil will be available for $129 (US). The new Smart Keyboard Folio is available in space gray for $179 (US) for the 11-inch model and $199 (US) for the 12.9-inch model with layouts for over 30 languages, including simplified Chinese, French, German, Japanese and Spanish. A new Smart Folio for iPad Pro, in a protective, polyurethane folio design, will be available in a variety of colors for $79 (US) for the 11-inch size and $99 (US) for the 12.9-inch size at apple.com and Apple Store locations. The new iPad Pro, Apple Pencil, Smart Folio, and Smart Keyboard Folio are available to order starting today and will be available in stores starting Wednesday, November 7.